To encourage those in our Fellowship who are 50 and over to participate in activities that foster spiritual growth and health, age-level educational pursuits, evangelistic outreach, and wholesome fellowship events. To promote strong focal points of need so that people may be involved in an area that interests them. Welcome! 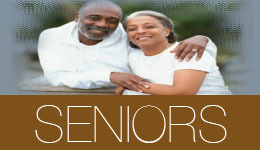 I hope that as you pursue the Senior Adult Ministries you will find information along with links to various resources that will be beneficial.